VBCOA’s Annual School and Conference will be held September 18-20, 2016 at The Great Wolf Lodge 549 East Rochambeau Drive Williamsburg, Virginia 23188. 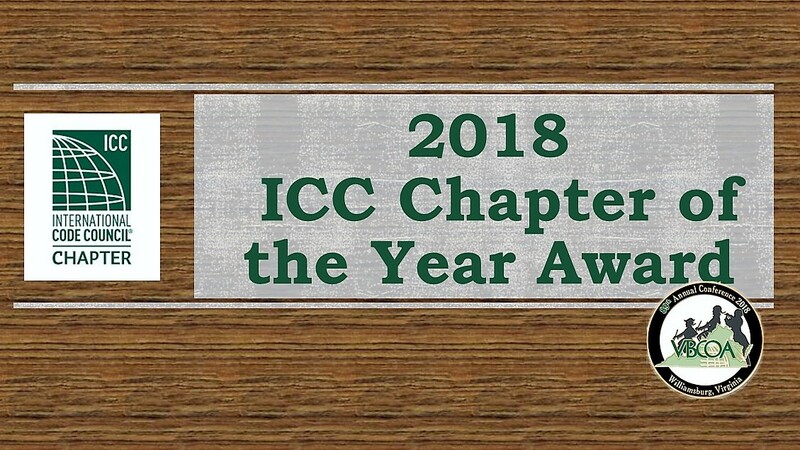 We have several incredible education opportunities provided by the ICC, VBCOA, ISO, UL, Simpson Strong Tie, IBTS, American Wood Council, Past Presidents Bill Dupler & Steve Shapiro, and consultants Kenny Payne & Bruce Arkema! Companions will receive complementary travel and access to Colonial Williamsburg were they can witness colonial construction from the 1700’s. Transportation will be provided to the Williamsburg Premium Outlets for lunch and shopping. Companions will then return to the lodge where they can choose to visit the spa or enjoy all the offered amenities including free access to the water park! There will be great networking events including live music, putt putt golf, cash bar and one of you will walk away with a FREE top of the line Grizzly Cooler! Please find below all conference documents including the registration form, nomination form, exhibitor and sponsorship opportunities. Hotel reservations. 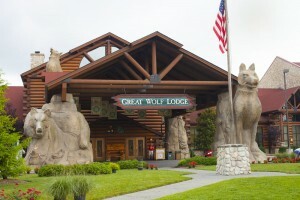 Reserve your room at The Great Wolf Lodge by calling (866) 972-9653 and ask for the VBCOA room block using access code #1609VBCOA . The hotel reservation deadline is August 24. I highly encourage you to make your reservations early as this event will sell out. The block rate is $89 plus taxes and fees for Saturday, Sunday and Monday nights. Important note: the hotel may charge a $29 fee for entrance to the waterpark during the initial deposit, this should be credited back to you when you pay the balance. Preconference event. This you wont want to miss! Saturday September 17, Region VIII has graciously offered to host our conference picnic! This event is sponsored largely by Region VIII with contributions from VBCOA. You can find directions and more information on the Region VIII BBQ Flyer! Thanks Region VIII! Be sure to check “Yes I will attend the picnic” on the registration form if you plan to attend. Conference registration. On-line registration is available and we are encouraging everyone to use this method to register. However, if you prefer to pay with a check and register by mail, email or fax, please use the forms included on this page or request the registration form from Joni Terry (jterry@vml.org). Cancellation policy. 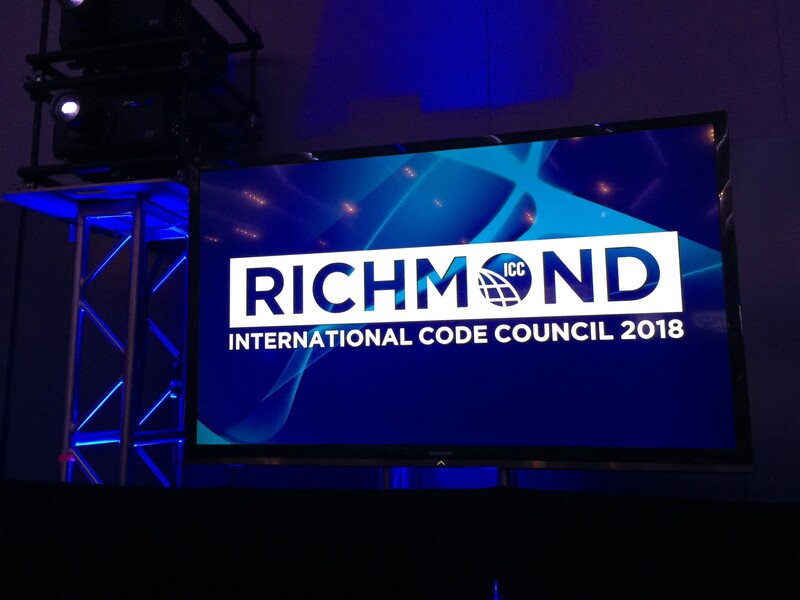 Conference Registrations will be refunded if cancellation is received by September 12. Call for Nominations- From Past President Sean Farrell: Are you interested in opportunities for: Honing your leadership skills? Working as part of a collaborative team? Advancing positive change in the building safety industry? Contributing your skills and abilities? 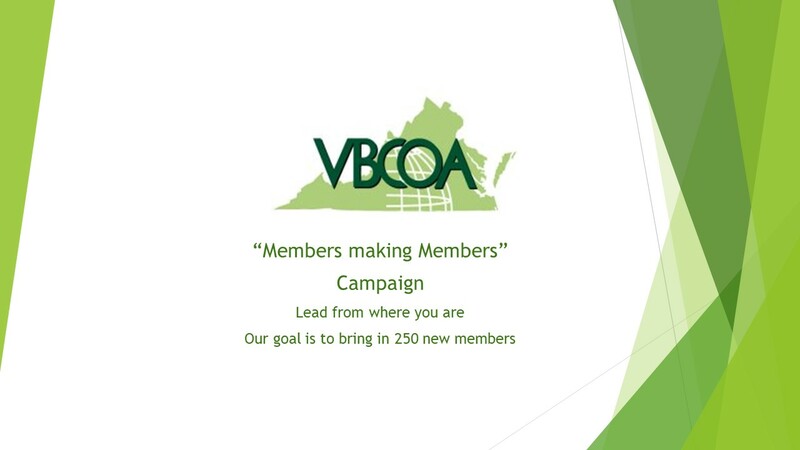 Increasing your knowledge by networking with building safety professionals from across Virginia and the nation? VBCOA needs your talents! Fill out the Nominations application below and begin your future as a leader in our organization. This will be a conference to remember! I sincerely encourage you to attend. Please let me know if you have any questions, or contact Joni Terry at (jterry@vml.org); 804-649-8471 or Mary Jo Fields at mfields@vml.org; 804-523-8524 so that we may assist you. I am looking forward to seeing everyone there!